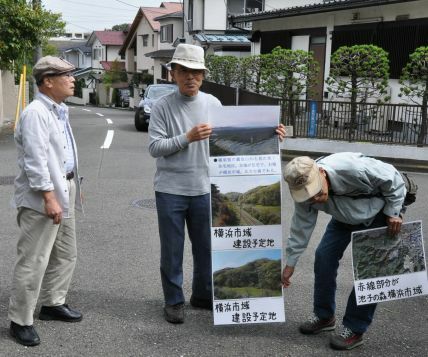 Zushi -- Strong voices of opposition against the construction of additional US Navy residences in Ikego Forest has been mounting among local residents in Kanagawa Prefecture. The governments of the United States and Japan agreed last month to construct about 400 housing units on the Yokohama City side of the Ikego Heights Family Housing site, a US military base. Ikego Forest covers about 290 hectares that stretches between Yokohama City and Zushi City in Kanagawa Prefecture. The Institute of Bird Watching of Kanagawa Prefecture has described Ikego Forest as a "natural museum" due to the fact that it is home to about a hundred bird species, including hawks, eagles, and owls. A citizen's group called the Association to Stop the US Residential Construction and to Protect Ikego Forest launched an opposition movement in 2004. The representative of the association, Professor Yasoi Yasuda of Kanto Gakuin University, has estimated that the economic value of the environment of Ikego Forest amounts to 37 billion yen (about US$440 million), which is, he says, more valuable than Yakushima Island, Kagoshima Prefecture, registered as a World Heritage Site. Professor Yasuda emphasizes that the natural value of Ikego Forest is in the same class as a World Heritage Site. 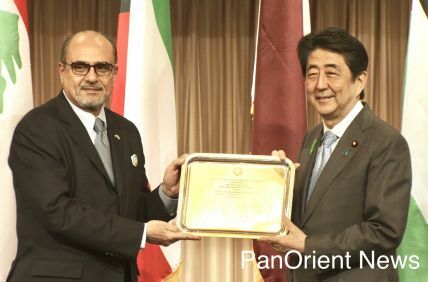 A neighbor to the forest, Misako Kiya, 70, tells PanOrient News, "This is a precious forest that has remained in an urban area. No matter how strongly the United States claims that they will protect us, I do not want them to construct US military housing and destroying our natural environment." Masaki Sakamoto, 26, a JCP candidate for next year's election to the Yokohama City Assembly, says, "As a member of the Communist Party, I want to protect this forest. Through negotiations, we have so far been able to cut the number of residences to be built from 700 to 400. I want the other 400 houses to be shifted to somewhere else. I want to maintain a future in which the children of Kanazawa Ward, Yokohama, can play happily in nature." The oldest member of the association, Kiyoyuki Tazawa, 85, describes himself as the "last soldier" of the Pacific War. He expresses concern about the safety of the military base. "Before the war," he says, "I heard that the Imperial Japanese military abandoned poisonous gas canisters and grenades in the forest. As a resident here, I am afraid what will happen while digging up the land." The problem of US residential construction at this base first surfaced in 1981. Within a couple of years the issue began to receive considerable public attention, according to Professor Yasuda. As a result of the strong opposition of the people of Zushi City, the local authorities reached terms with both Tokyo and the US government that no new housing units would be built in Ikego Forest. Some years later, however, Tokyo and Washington went back on the agreement using the pretext that their agreement was only with the Zushi City government and they were not bound to any housing construction limitations as regards the portion of the base which lay on the Yokohama City side of the border. Zushi City took the Japanese and US governments to court over this matter, but the Tokyo High Court ruled in favor of the central government. According to Professor Yasuda, this demonstrates that Japan does not yet have a proper separation of powers as a democratic nation, and that administrative decisions are allowed to stand irrespective of the overall merits of a particular case.